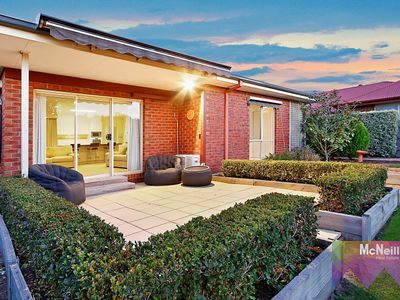 This quality-built home is truly a surprise package. 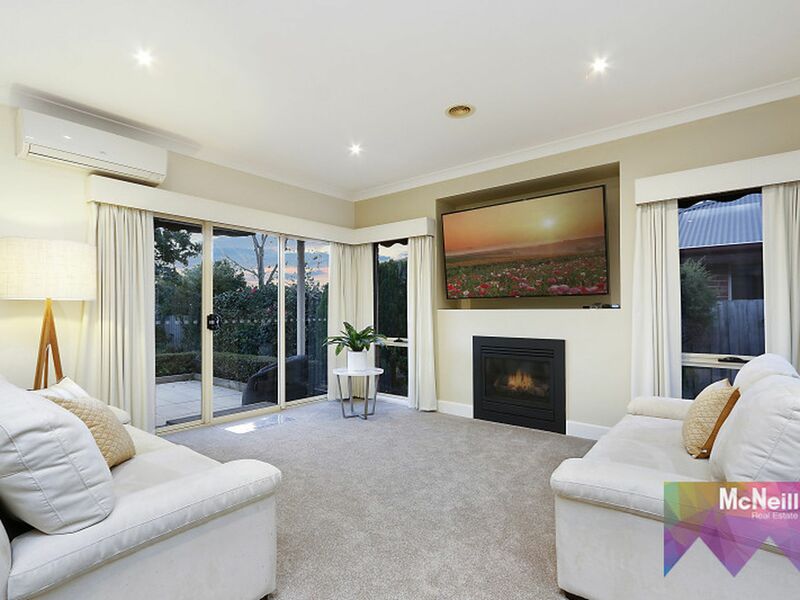 An ideal floorplan provides separate zoned living for the whole family, while the covered alfresco is perfect for year-round entertaining. From the spacious entrance hall you will notice the high ceilings, a feature throughout, and discover the light filled main bedroom with bay window, ensuite and walk in wardrobe. 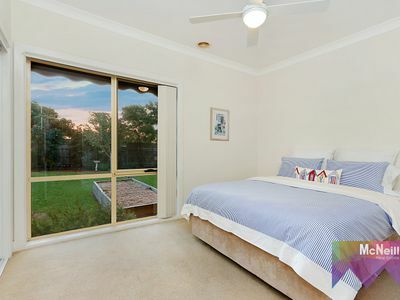 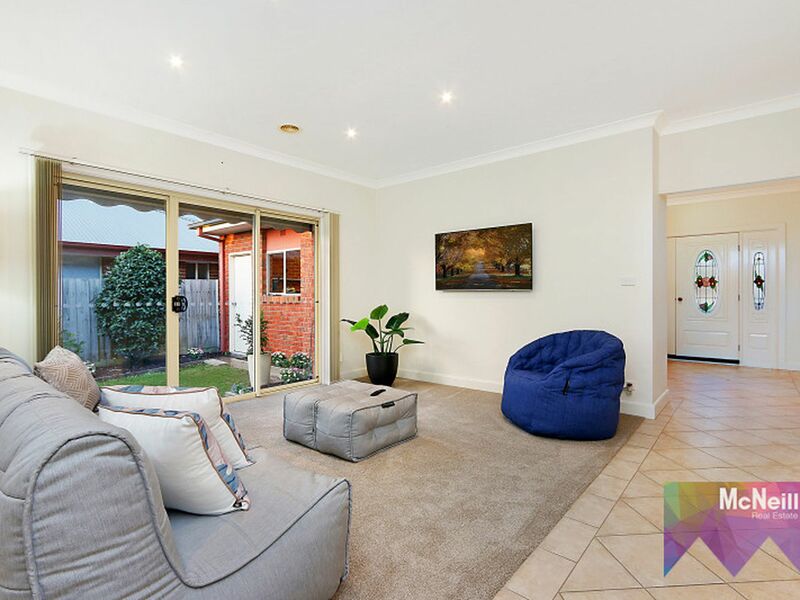 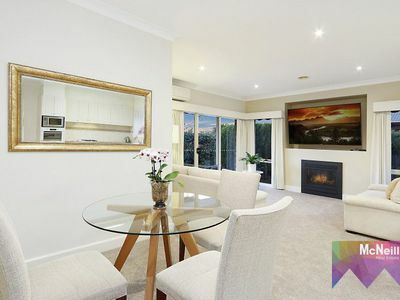 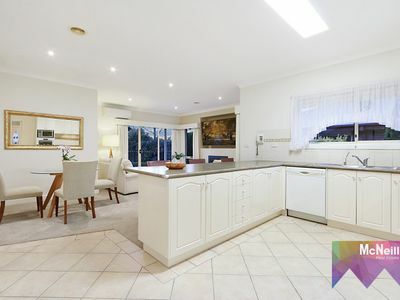 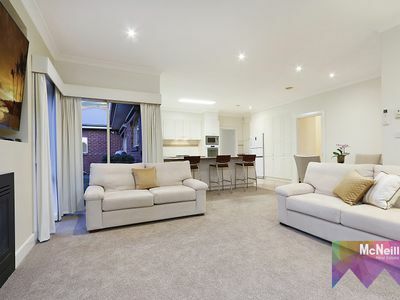 Walk through the living area with garden views to the centrally located kitchen. 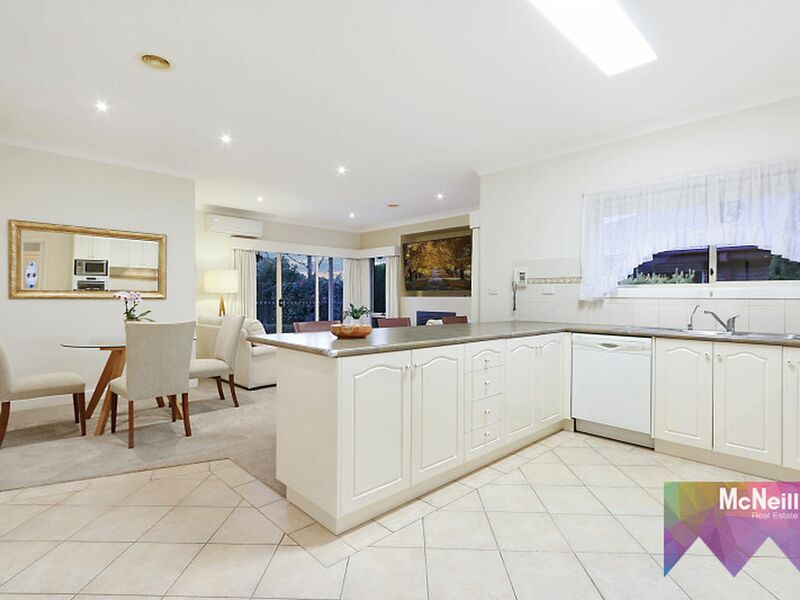 The kitchen is at the heart of family living / dining and overlooking the alfresco area covered with a remote operated blind and is fully fitted with quality appliances with heaps of cupboard space. Step through the family room, with feature gas log fire, to the glass sliding doors that open onto the covered alfresco area. 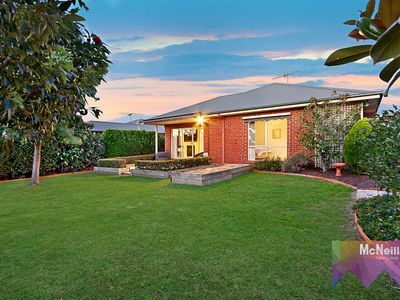 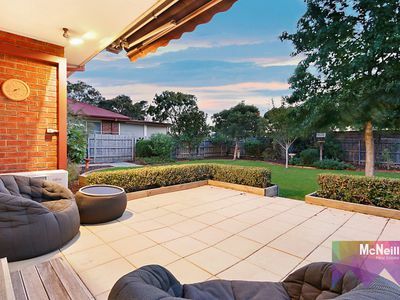 From here you will admire the family friendly and established back garden. 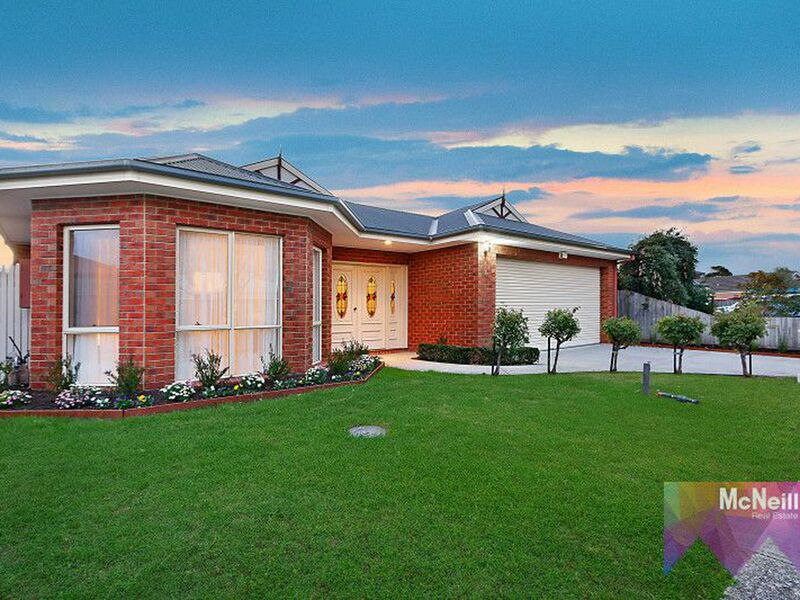 With room to kick a footy, get together with family/friends for a BBQ…. or just chill out in this very quiet neighbourhood. 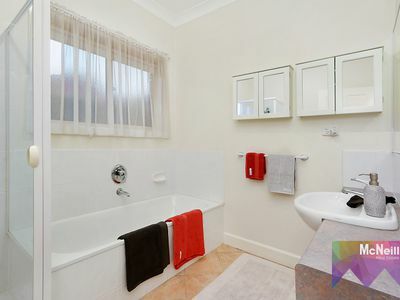 At the rear of the home there are 2 further bedrooms, both with built in robes and the main family bathroom with separate bath and shower. A full-size double garage with workshop area is perfect for the handy person! Whether you have children at kinder, junior or high school you will find the right establishment for them just minutes away. 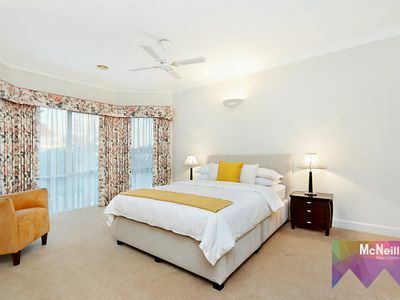 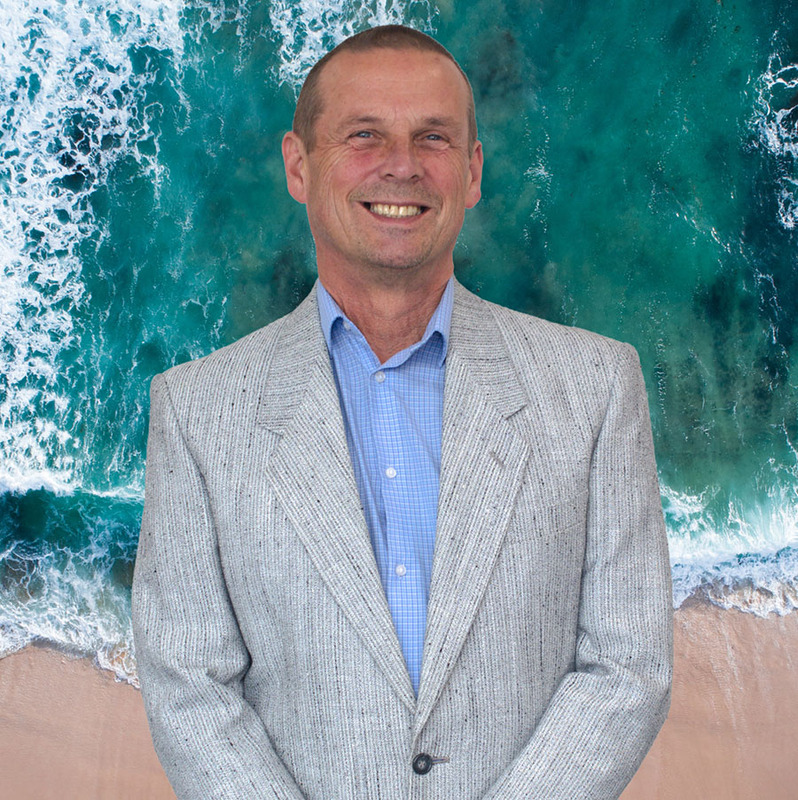 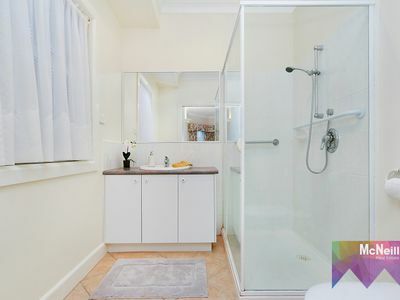 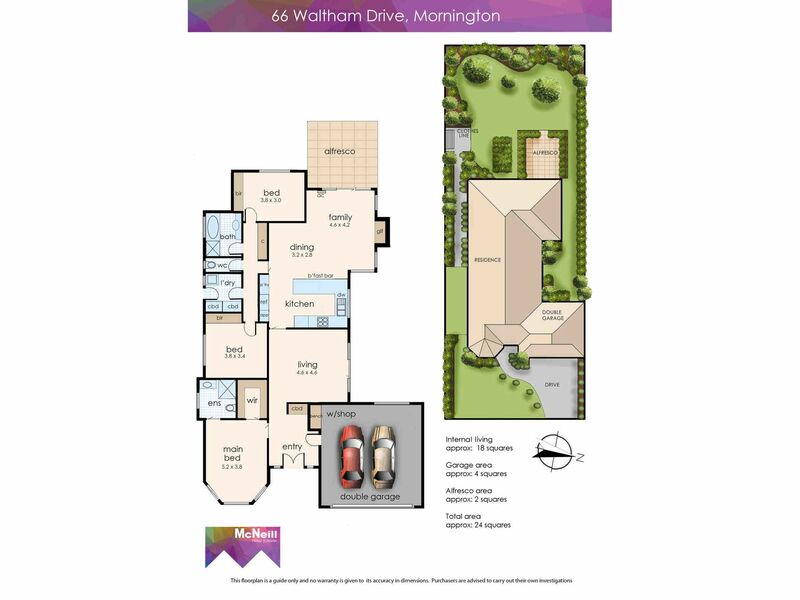 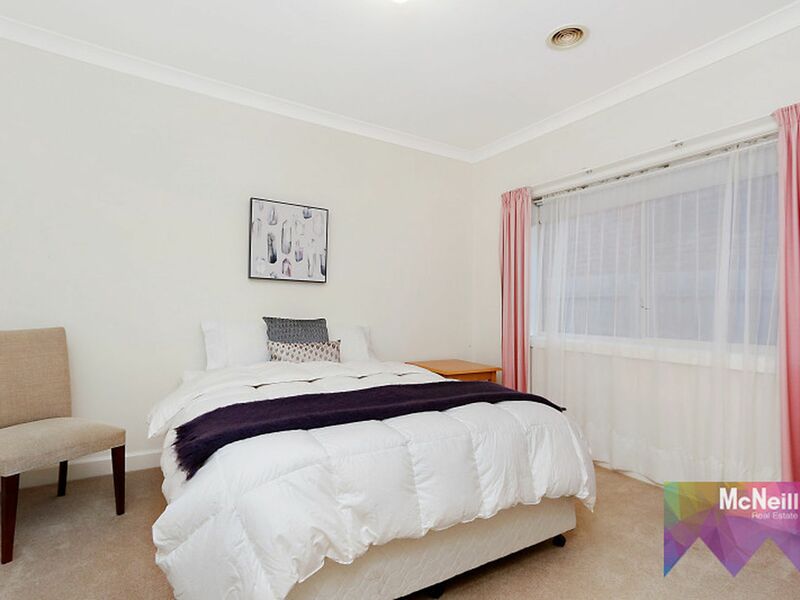 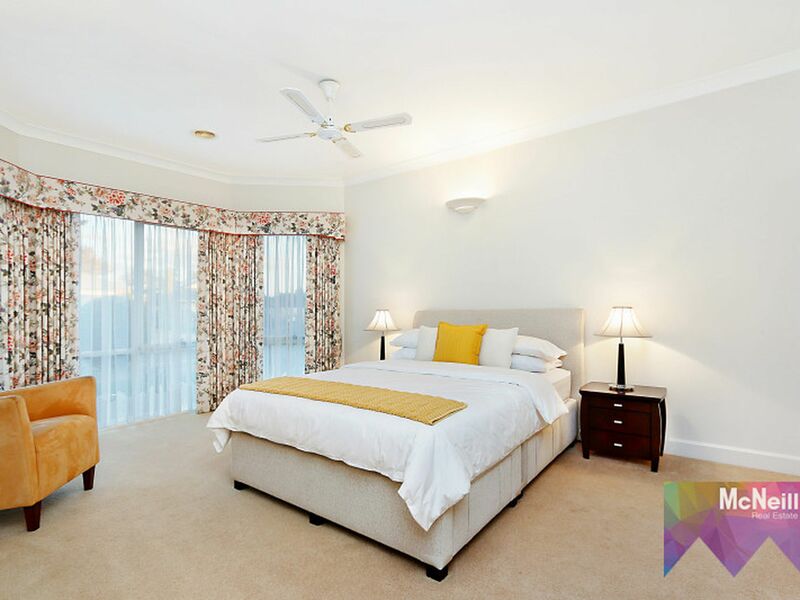 Enjoy walks or bike riding along the many trails, or walk to Bentons Square shopping Centre. 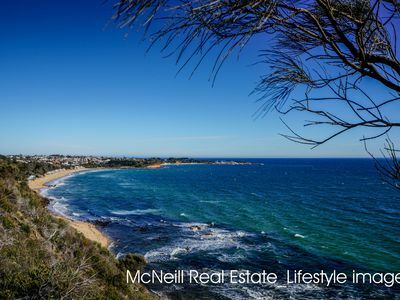 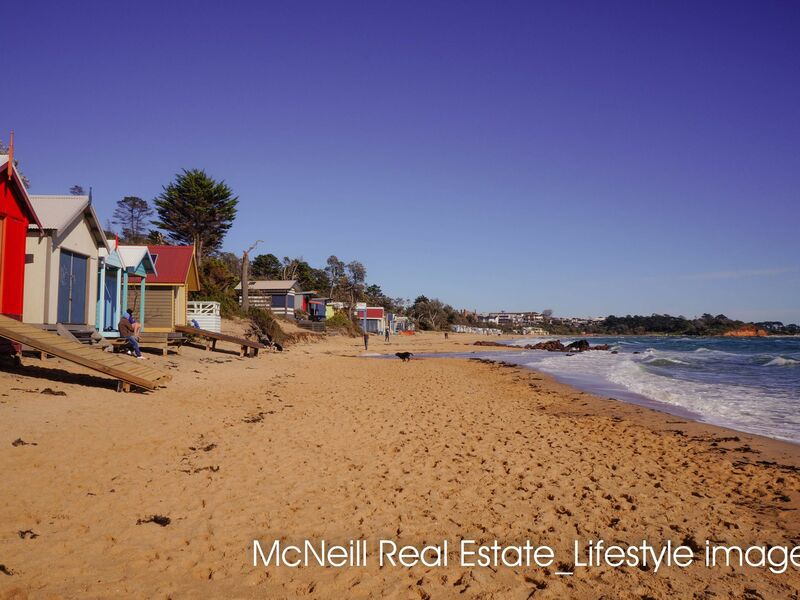 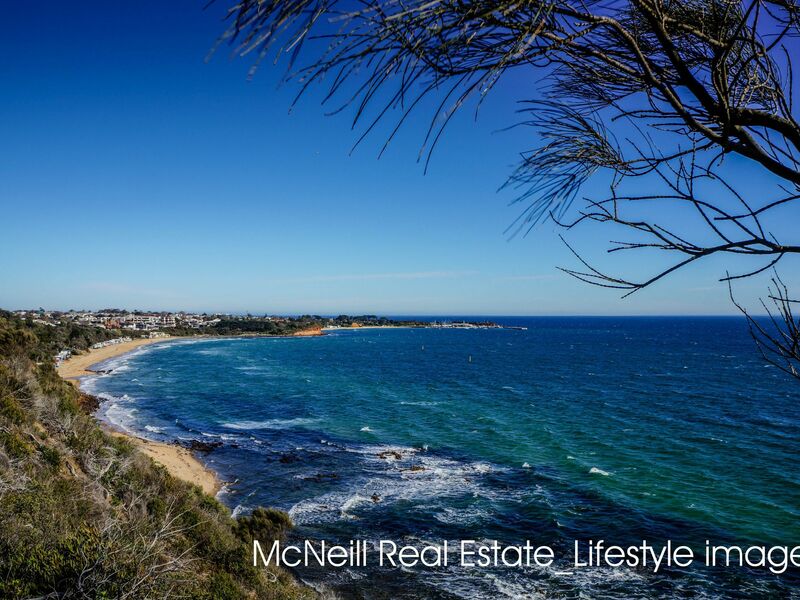 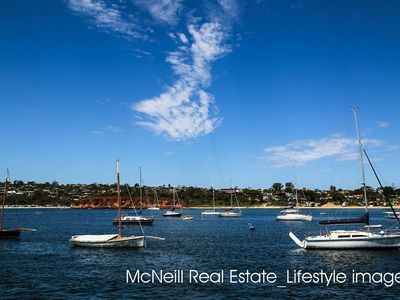 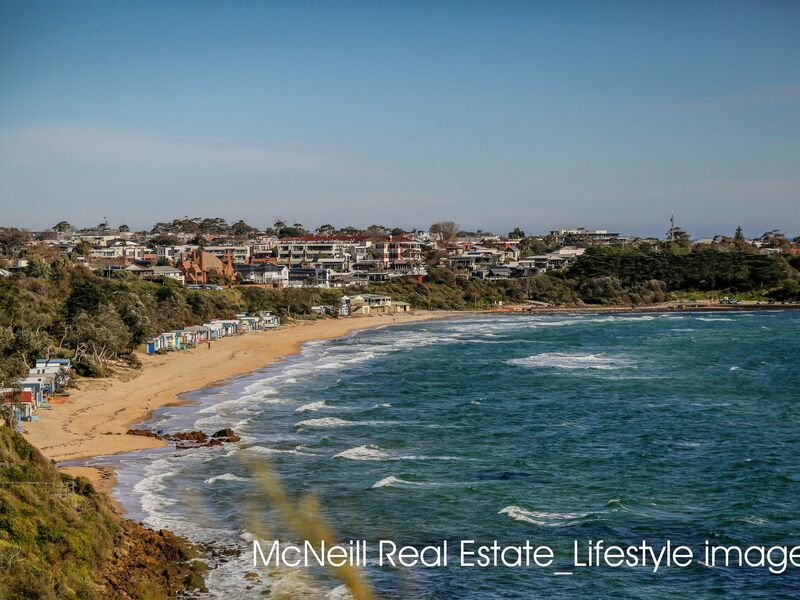 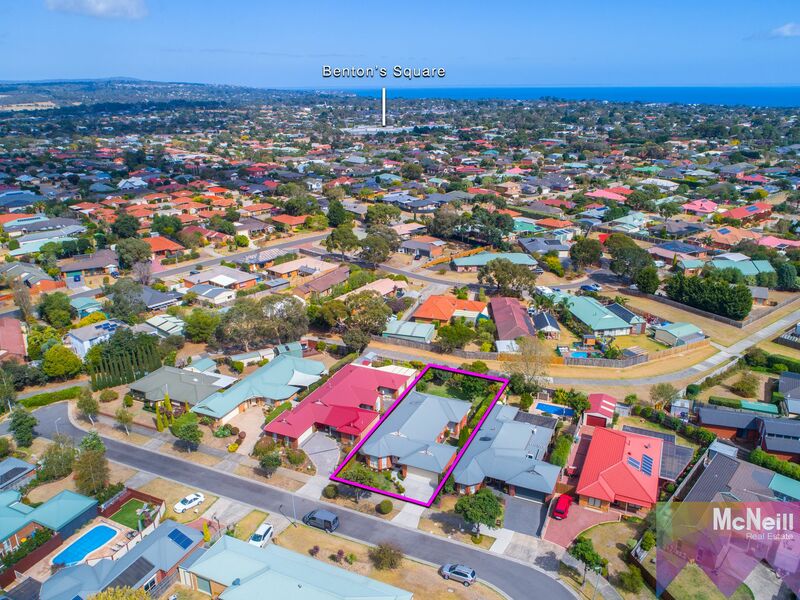 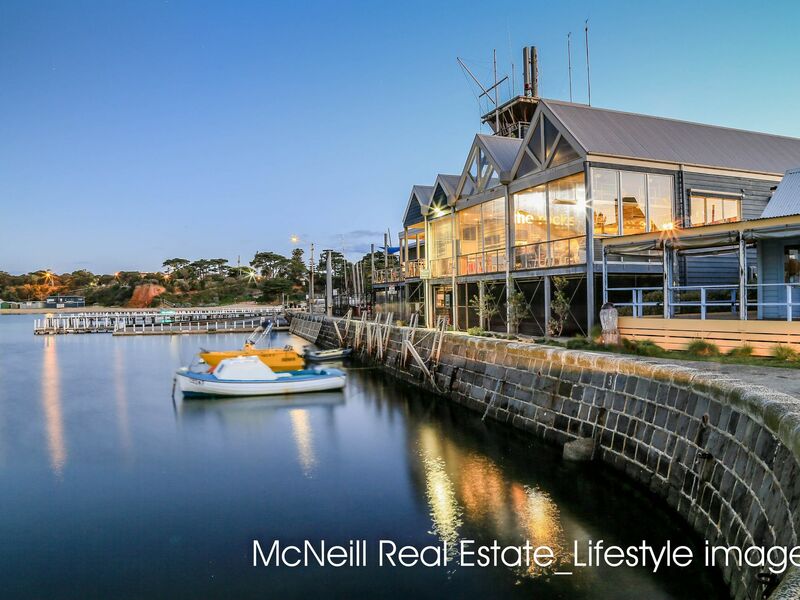 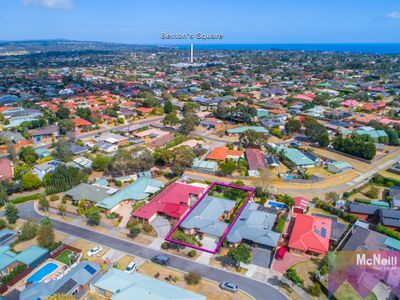 Main Street Mornington and shopping centres are just a few minutes’ drive…not to mention wineries, beaches and all that a Mornington Peninsula lifestyle offers!